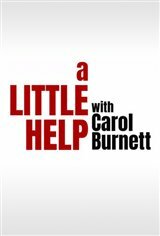 Carol Burnett is the host of this unique show, which presents a panel of adorable five to nine-year-old kids, who are asked to solve questions brought to them by everyday adults and celebrities. The kids give hilarious and sometimes apt solutions to a number of dilemmas. As the co-host, Canadian comedian Russell Peters does sketches with some of the children.